Federal Qui Tam Defense Attorneys - Oberheiden, P.C. Qui tam lawsuits result in billions of dollars of loss to companies every year (in 2015, False Claims Act qui tam lawsuits resulted in over $2.8 billion in payments to the federal government). If you believe a qui tam lawsuit may have been filed against your company, it is important to retain experienced counsel that can defend you from potentially catastrophic loss. If you own or operate a business in the healthcare industry, then you likely receive payments from federal government benefit programs including Medicare, Medicaid, and Tricare. These programs pay billions of dollars to healthcare providers every year. Unfortunately, federal programs also lose millions of dollars each year to false or fraudulent claims. Due to this fraudulent loss, the federal government has developed several tools to assist in deterring, detecting, and punishing false claims. One of the government’s most important tools is the qui tam lawsuit. Under the whistleblower provisions of the False Claims Act, private individuals may bring suit on behalf of the government to recover fraudulently obtained payments along with applicable penalties. If the whistleblower prevails, he or she receives a percentage of the amount collected by the government as a result of the lawsuit. Many whistleblowers are recently terminated employees or business partners. Disgruntled ex-employees often go to an attorney hoping to pursue employment claims and are then informed of the False Claims Act and its whistleblower provisions. Similarly, ex-business partners may approach an attorney hoping to pursue a breach of contract claim and then learn of the potential financial benefits of filing a qui tam suit. A useful step in defending potential qui tam suits is interviewing departing employees and documenting any compliance concerns they may have at that time. This can not only alert the company of potential suits, but also can be useful in undermining qui tam claims that are fabricated after the fact. What Happens After a Whistleblower Files a Qui Tam Lawsuit Against Your Company? Qui tam lawsuits are filed under seal, and as a result, you will likely not immediately be aware that a case has been filed against you. The case is initially sealed for 60 days, but courts routinely extend the seal while the government investigates the allegations. Often the first indication that a company has of a qui tam lawsuit is that a current or past employee or business partner reports to the company that they were contacted by government investigators. Regardless of whether an investigation resulted from qui tam allegations or from some other source, it is important to deal with the issue appropriately and an important first step is retaining the right counsel at the right time. Many companies wait far too long to seek legal representation after learning that they may be under investigation. They often do not initially recognize the gravity of the situation or want to wait until they are sure that they are the target of the investigation. Others simply fail to recognize the critical role an attorney plays in the initial stages of an investigation. One of the most critical junctions in a qui tam investigation is the government’s decision to intervene (and participate in the suit) or let the whistleblower proceed on its own. The decision to intervene has a huge impact on the ultimate costs of a qui tam lawsuit (both in terms of length and legal expense and in terms of likelihood of civil or criminal charges). The longer you wait, the more the government will have built its case against you. It is important to give your attorney the maximum time possible to prepare your defense and persuade the government not to intervene. Ensure thorough off-boarding procedures including interviews of departing employees and prompt termination of access to company information. Choose the right legal team. You need to choose attorneys quickly but also correctly. It is important to have legal counsel that has substantial experience in healthcare defense. The government’s healthcare enforcement regime is nuanced and complex, and experience in other types of defense work generally does not translate well into the healthcare arena. You also need attorneys with an established track record of achieving positive outcomes for their healthcare clients. Find out the subject matter of the investigation. It is not always immediately apparent what conduct is the subject of a qui tam suit or a government investigation. You may have concerns about a particular aspect of your business, but clients are often surprised to learn that the government’s interest lies in an entirely unexpected area. 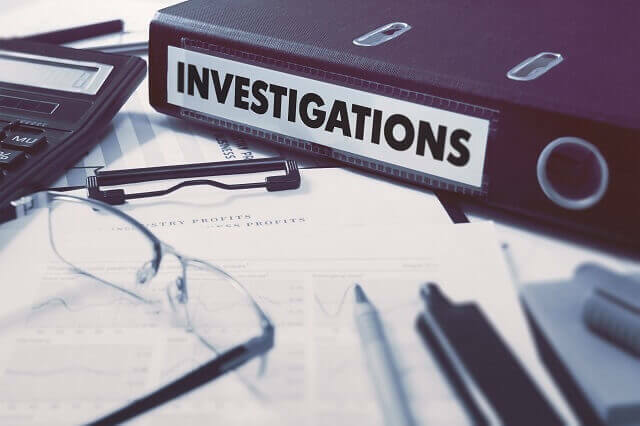 Some information can often be gleaned from the questions that investigators have asked others in an investigation, but until your attorney engages with investigators, you won’t know for sure. It is important to know what allegations are being made against you so your defense can be as effective and efficient as possible, and your attorney will likely start by establishing the focus of the government’s investigation. Avoid retaliation claims. While many whistleblowers are former employees, sometimes the whistleblower is a current employee. This makes the situation much more complex. It is upsetting to know that an employee has accused you or your company of misconduct. But you are prevented from retaliating against an employee that has brought allegations under the False Claims Act. This includes termination, demotion, and other forms of punishment. Limit discussions of ongoing investigation with third parties. Don’t discuss an ongoing investigation with anyone other than your counsel. The government can interview or call as witnesses your friends and business partners and anything you have told them is fair game. Your instinct will be to fix or explain the situation things, but it is usually best to resist this urge. If discussions with certain individuals are necessary, your attorney will assist you in preparing a script or talking points for the discussion. Preserve documents and other evidence. Qui tam law suits are typically very document intensive, and when you become aware of a potential investigation you have a responsibility to preserve relevant documents. Your attorney will also likely ask you to gather a wide variety of documents for use in your defense. Documents that are commonly used in qui tam litigation include business records, bank records, financial statements, tax records, business contracts, reports, personnel files, insurance policies and claim records, policy manuals, and emails. The better organized your business records and other documents are, the better you will be able to help your attorney with your defense and avoid a costly scramble to produce documents. Have a comprehensive defense strategy. All of these steps are part of the overarching principle that you need to have a consistent and targeted defense strategy. By the time you find out that you are under investigation, the government has already started building its case against you. You don’t have time to waste, and you cannot afford to skip steps or make other mistakes that could jeopardize your defense. Oberheiden, P.C. has assisted clients from across the United States and from different industries to find defense strategies against federal False Claims Act investigations. All consultations are free and confidential. If you believe that a qui tam lawsuit may have been filed against you, you may contact Oberheiden, P.C. for a free and confidential consultation. Our attorneys are available seven days a week, even on weekends, to speak with you about how we may be able to help you with your case. Oberheiden, P.C. represents clients across the country facing qui tam lawsuits.